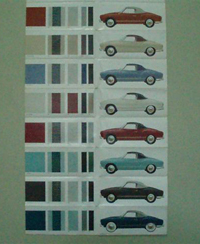 This a facsimile edition of an ORIGINAL Karmann Ghia catalogue from the 60s. 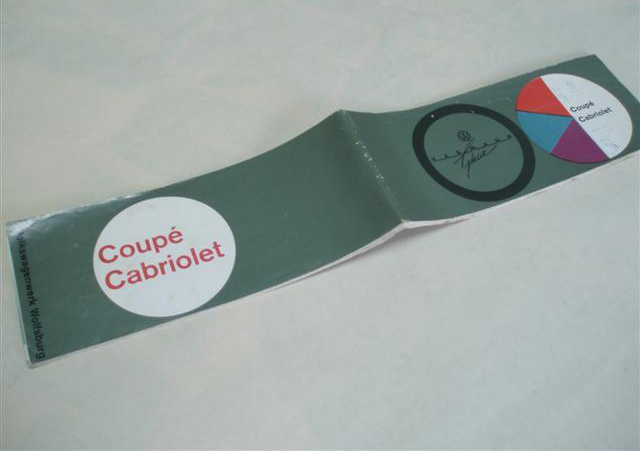 It contains 10 quality photographs of the COUPÉ version and 10 of the CABRIOLET one. 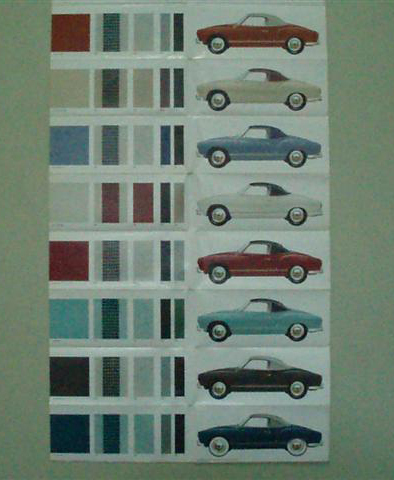 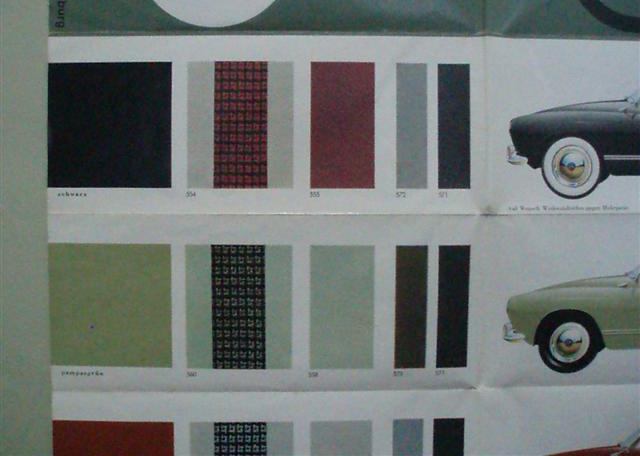 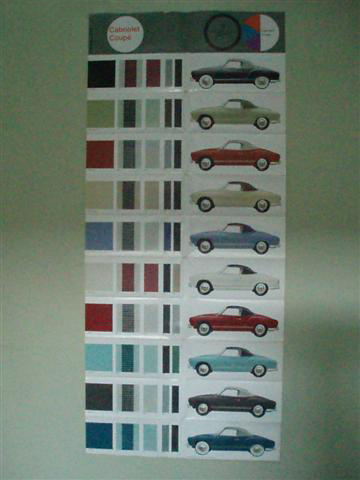 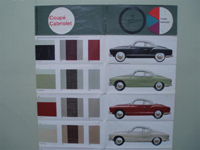 Each car has a different colour and next to it there are the references of the paint and the upholstery colours. 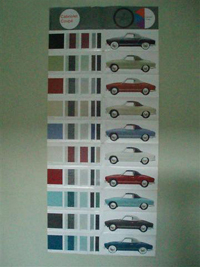 It includes two folding sheets.